Evan Gaj is a mechanical engineering graduate from Lehigh University currently on a Fulbright Scholarship in Warsaw studying drones. In 2008, the electric motor vehicle experienced a rebirth triggered by a rise in oil prices. Now in 2018, it is the time for another rebirth — in electrical aviation. Over the decades, advances have been made across the aviation field on all fronts. In 1986, Burt Rutan made the first non-stop, unrefueled flight around the world. Now, 30 years later another trip around the world was completed, marking the first electrical-powered circumnavigation. The lofty journey started in Abu Dhabi and 16 months later landed back where its journey began. This plane, unlike others that have made the journey before, emitted no emissions and burned no fuel. Instead, it used solar panels, an electric motor and four massive 41 kWh lithium-ion batteries. Called Solar Impulse 2, it changed the world of aviation when it completed its flight in 2016. Since then, the vision of an electrically powered commercial airplane has gone from a dream to a possibility. 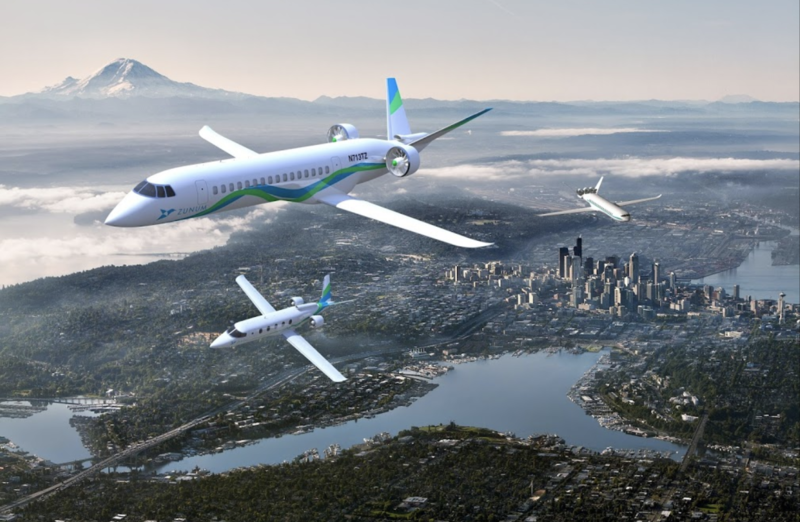 A future that includes electric flight is a positive one, slashing the fuel use of current aviation, reducing emissions and a creating a cleaner environment. According to the European Commission, airplane emissions currently account for about 3 percent of total EU greenhouse gas emissions, and about 4 percent of world greenhouse gas emissions. It’s a pretty significant percentage that’s growing at a fast rate. By comparison, the emissions per person on a flight from London to New York is roughly equivalent to a person in the EU heating their home for a whole year. 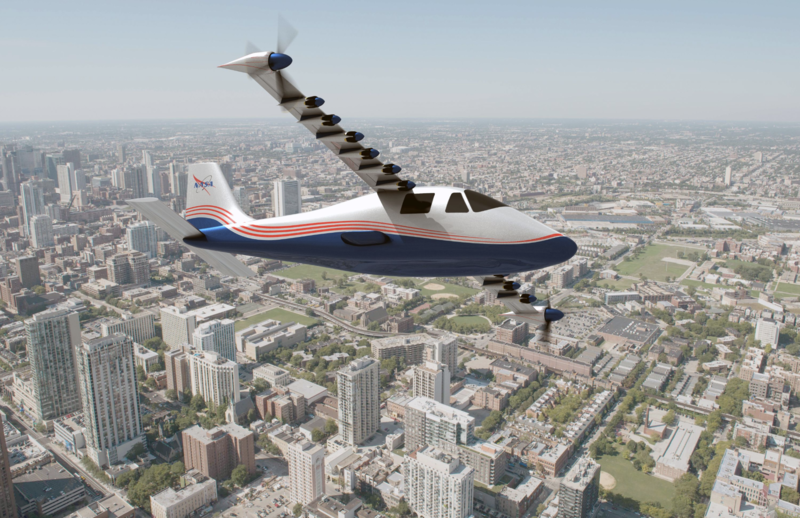 With electric aviation, these rising emissions could be reduced. It will make more feasible the ambitious EU goal of cutting greenhouse emissions to 40 percent below their 1990 levels by 2030, and to 80 percent of 1990 emissions by 2050. From the passenger’s perspective, electric aircraft are a massive win. The new planes would result in a cheaper ticket, decreased noise and a higher rate of climb. With an electric engine, planes are able to maintain performance at higher altitudes where the air resistance is less, unlike combustion engines that operate less efficiently at these altitudes. The aircraft engine would therefore have to be less powerful to generate equivalent speed. For all the hype and innovation surrounding the ideal of electric flight, there is still a long way to go before our commercial flights are powered by electric engines. The Burt-Rutan designed Long-EZ is an instance of electric flight in recent time. In 2012, as one of the fastest electric aircraft flown, the plane traveled at 202.6 mph, and carried a single passenger. Contrast that to a Boeing 787, which flies at 585 mph, and carries more than 242 passengers. There is still a long way to go, and at the current pace of battery and electrical engine technology it won’t be until 2030 that even hybrid electric technology is used in commercial aviation. Currently there is a project underway known as the NASA Electric Aircraft Testbed. This project is looking at the current technology obstacles of electric flight. With this testbed, increased efficiency and reduced weight are the goals. The testbed can be adapted to power larger and larger engines as technology is improved. Another challenge that exists is creating a practical cooling system that can be used. Thermal management for these systems will require a system that can reject anywhere from 50 to 800 kW of heat in flight. A cooling system is required for the integrated power module used for high-power electronics. Materials will need to be developed for improved thermal performance, and a lightweight system developed for the power electronics cooling. Superconductivity and supercooled electronics will be required to reduce the electrical resistance of the aircraft. The most significant limiting factor at this point is not the weight of the engines, or the design of the aircraft, but rather it is the batteries. Batteries at this point cannot provide the power-to-weight ratio needed for electric aviation to be feasible. Currently, jet fuel yields about 43 times more energy than an equivalent mass of battery. 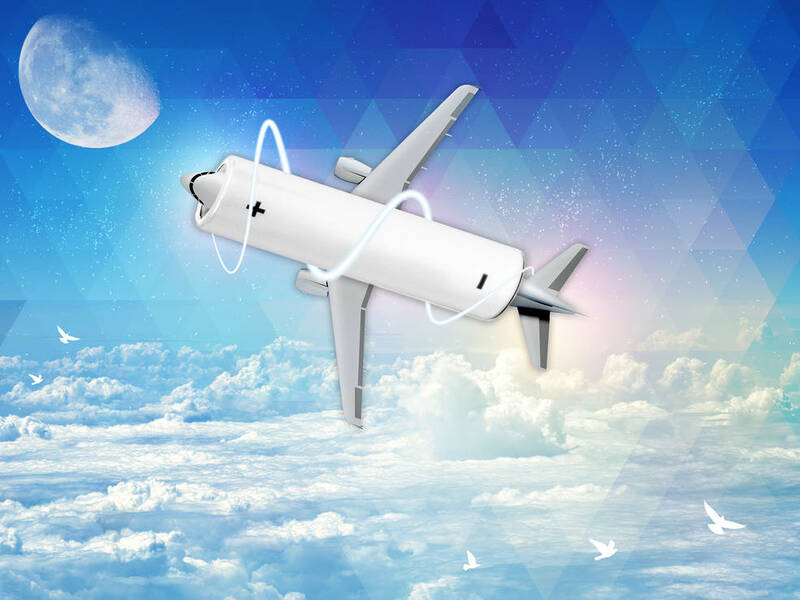 The electric aviation industry is making a big bet that energy storage technology will improve significantly in the future. It is possible with battery energy density rising by 5 to 8 percent per year. 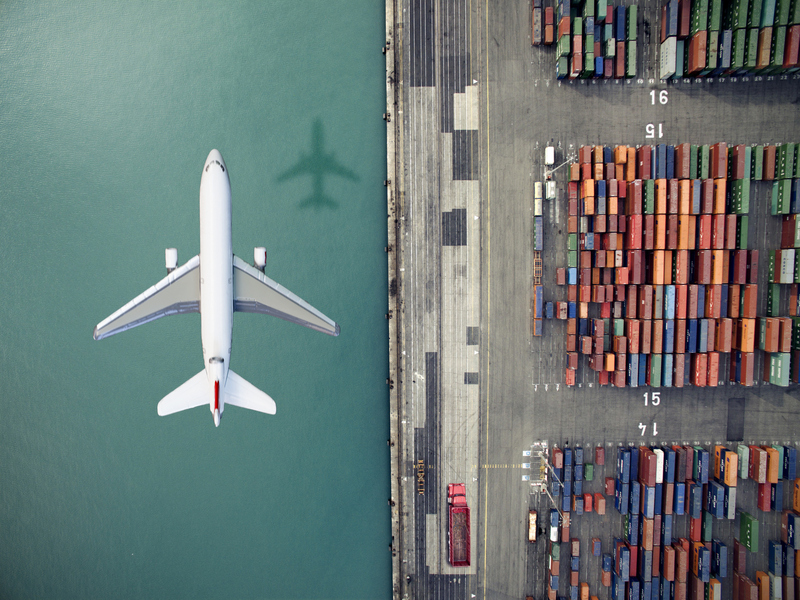 For batteries to be at a point where it is economically feasible to work in small-scale aviation they will need to achieve about five times their current density. The good thing is that airplanes are becoming better designed, and will require less and less power as time progresses. Once all this is figured out and solved another problem exists. How does one swap the batteries out quickly and efficiently enough to allow the planes a quick turnaround time from landing to then picking up new passengers and taking off? The best solution is battery swapping, but even this solution has its difficulties. Batteries have a higher maintenance costs than gas turbines, and on top of that require replacement after only 1,500 charge cycles. In addition, electricity consumption is highest in the day when these batteries are needing to be charged. Zunum Aero is a company backed by Boeing and JetBlue that has been working since 2013 on a family of 10 to 50-seat hybrid electric regional aircraft. They started development in October 2017 for a 12-seat aircraft, aiming to fly in 2020. The design includes a series of hybrid ducted fans that are powered by batteries alone for short trips and a range-extending generator providing 1 MW to 4-5 MW. A gas turbine would be used to drive two 550 kW generators in order to extend the range of the plane to 700 nautical miles. In February 2018 it was announced that Zunum is building its first prototype. Airbus E-Fan X is being developed with Rolls-Royce and Siemens as a hybrid-electric airline demonstrator. Development of this aircraft is building on work completed with the Airbus E-Fan, a prototype two-seater electric aircraft that was under development by Airbus. It uses on-board lithium-ion batteries to power two electric motors. First flown in 2014, the E-Fan has an endurance of 60 minutes. The E-Fan X includes a motor and generator that are not cryogenically cooled and not superconducting, leading to more than a 15 percent loss in efficiency. 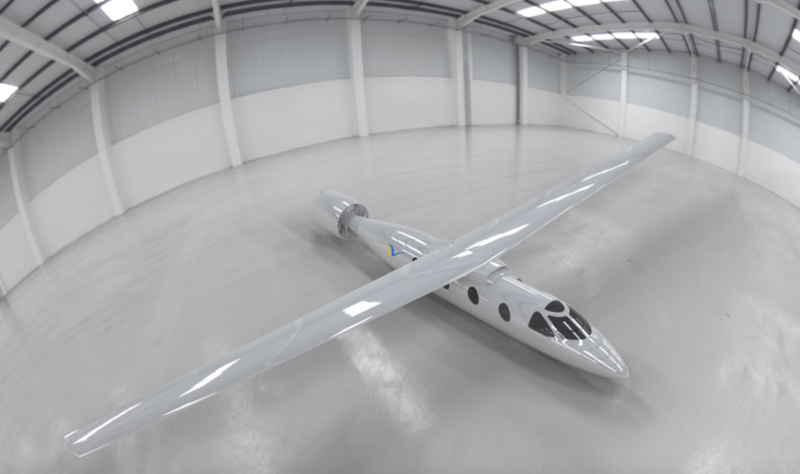 What they hope to do on the way to an all-electric plane is create a hybrid electric model capable of flying in 2020, while further developing the technology. Eviation Alice is an Israeli electric aircraft that is under development by Eviation Aircraft. This plane features three propellers, two on the wingtips and one in the rear of the plane body. The plane features an electric propulsion system and is developed from 95 percent composite materials. The company was started in 2015 and is currently underway to manufacture the first prototype of its all electric business and commuter aircraft. Wright Electric is a startup aiming to create a commercial airliner that runs on batteries and for distances of less than 300 miles. The company was founded in 2016, and has received venture capital from groups such as Silicon Valley accelerator Y Combinator. In September 2017, U.K. budget carrier EasyJet announced it was developing with Wright Electric an electric 180-seater aircraft to be developed by 2027. So far the company has built a two-seat proof of concept, which contains 600 pounds of batteries. Ampaire is a recent startup currently undertaking the big task of developing a retrofitted electric aircraft with the aim to be FAA certified by the end of 2020. The aircraft will be able to carry 7-9 passengers, and have a range of up to 100 miles. The company is hoping to develop a battery-swapping system, and is hoping to test fly next year. Joby Aviation has spent the last decade developing their own electric motors and their current VTOL design from the ground up. The company recently secured $100 million in Series B financing to prepare for production and certification. According to reports, the new vehicle is being developed to fly as many as five people as far as 150 miles on a single electric charge. This is quite significant for an electric aircraft, and could be used within the commercial aviation area for very short-haul flights. As streets fill with electric cars in the coming years, let us not forget that there is still a long way to go until our skies are on the same path as our roads. As we follow the long path to successful electric aircraft, we will be reminded of the perilous journey that was followed to achieve successful electric vehicles. Once past the barriers of batteries, engines and design, these planes will soon be taking off.